It is easy to transfer music from jailbroken iPhone to iTunes on Mac and PC. But what's the plan for those who are unwilling to jailbreak their iPhones? What can they do to transfer music from iPhone to iTunes? The process to transfer songs from iPhone to iTunes is more tedious than you can really imagine, luckily, the free DearMob iPhone music manager can help you easily transfer music from iPhone to computer, easy, fast & without quality loss. Due to system crash, you may run into problems like reinstalling iTunes yet finding all music missing in iTunes library. 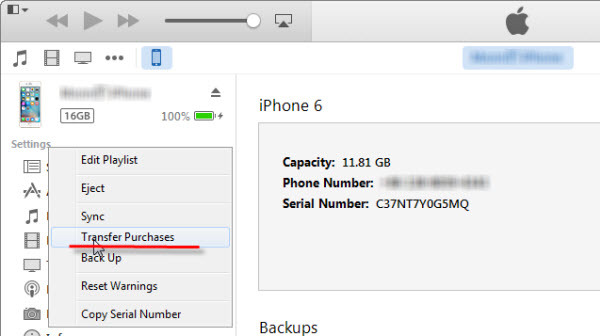 Or you just simply want to renew the songs in iTunes as you've added or deleted many songs in your daily used iPhone. How to "sync" the music from iPhone to iTunes? Unfortunately, iTunes, with its back-up utility, only support sync media files one-way to iPhone/iPod/iPad and there's no backward. So if you do "sync" music in iTunes with iPhone, you'll only find your iPhone songs being washed. 1. Transfer songs from iPhone to iTunes that are purchased in Apple Music or iTunes store. Step 3. Right click on the left iPhone device and select "Transfer Purchases" and your iTunes will start transferring your purchased music from iPhone to iTunes. 2. Transfer music from iPhone to iTunes that is not purchased in Apple service. A. Make use of DeTune, iFunbox, iExplorer. These three assistants are capable of reading saving directory of your iPhone so that you can find the music file and copy it from iPhone to iTunes directly. The above three applications are both available for Mac and Windows OS. B. Employ a music downloader to free download the songs in your iPhone to your Mac/Windnows PC and then transfer those songs to iTunes library. For this, 5KPlayer can surely give a hand, allowing you to free download arrays of music from online like Adele's new single –Hello, Sam's Writings on the Wall, Star Wars soundtrack etc. Also, if you can only find the free MVs of Wildest Dreams/Hello on YouTube, 5KPlayer can help convert the YouTube download into MP3. Step 4: Click the download button and the music downloading process will start in a sec. Note: to convert mp4 music video into MP3, you can go to the YouTube download list and find the video. Then click "convert" to view the pull-down menu and select "convert to MP3". Side note: You can customize the target music/video download folder by clicking F2. 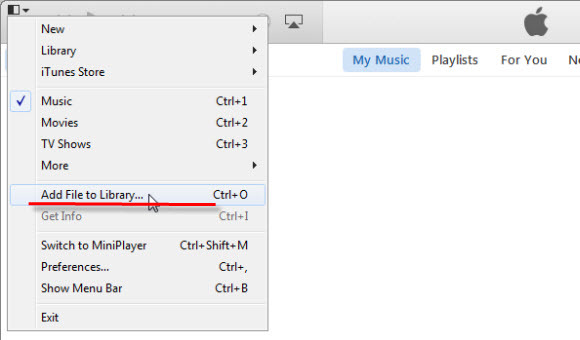 Step 5: Add file to iTunes library to complete iPhone –iTunes music transfer. If you find downloading songs one by one quiet cumbersome, you can make a good call by downloading a whole music playlist with 5KPlayer. As you can see, transferring music from iPhone to iTunes can be done through many ways –direct or indirect. But with 5KPlayer for both Mac and Windows, you can not only transfer music from iPhone to iTunes, but also mirror and record the iPhone screen to computer and even transfer Beats Music free to local storage. Get yourself a 5KPlayer and give it a go. Here you can get the desired iPhone 8 video downloader to download videos to iPhone 8/7/7 Plus/6S/6 etc from 300+ sites. 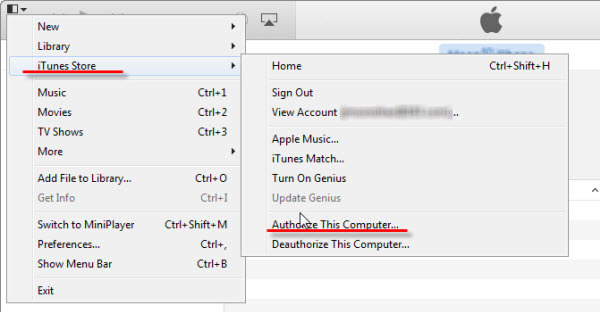 This tutorial details on how to transfer music from iPod to computer free, which is the same useful solution to transfer music from iPhone/iPad to computer as well. 5KPlayer teaches you how to transfer or copy limitless MP3 songs from Mac/PC to iPhone 6S/6/5S for easier playback.